William Callow, RWS was born in Greenwich, and at the age of sixteen or seventeen he went to Paris and studied under the animal painter Newton Fielding. At nineteen he became teacher to Louis-Philippe in 1831 as a result of his exhibits in the Paris Salon hat year. He retained the post for seven years. In 1841 Callow returned to England with his brother John (q.v. ), after travelling Switzerland and Italy. In the same year he was elected member of the Old Watercolour Society and later, from 1865 to 1870, was secretary. He moved to Great Missenden, Buckinghamshire in 1855 where he remained until his death. Callow first exhibited at the Royal Academy in 1850 and thereafter most years to 1876. He exhibited at the British Institution from 1848 to 1867, missing only one year, 1855. 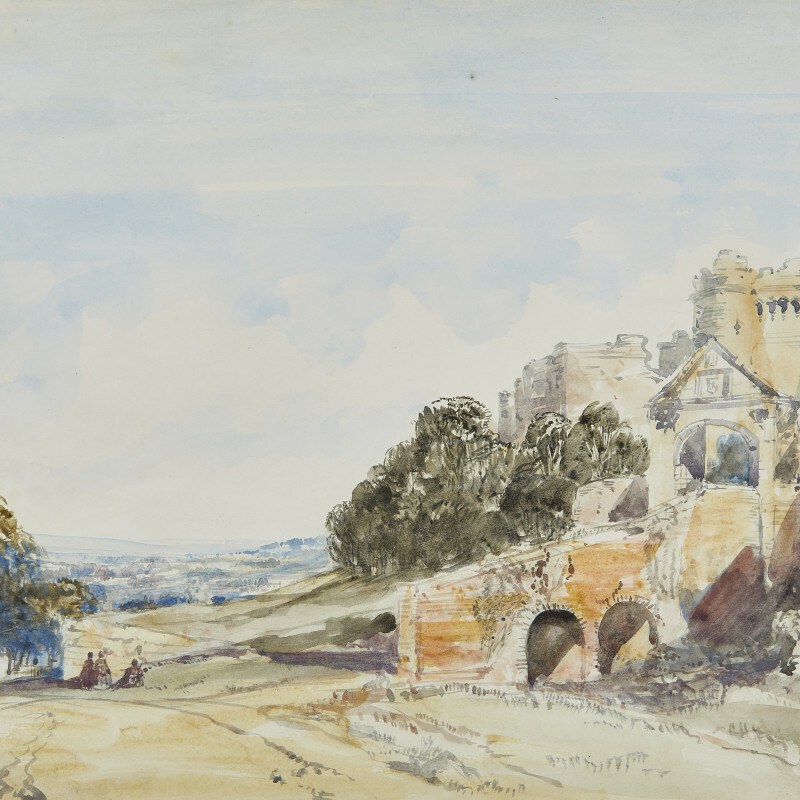 He also exhibited at the New Watercolour Society and Suffolk Street.